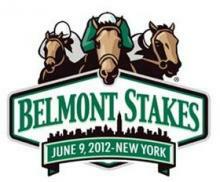 Triple Crown contender I’ll Have Another has been scratched from tomorrow’s Belmont Stakes. Trainer Doug O’Neill says he pulled the colt from the race after he showed early signs of tendonitis in his left front leg. O’Neill told radio talk show host Dan Patrick that he’s not sure how I’ll Have Another was injured, but he’s not taking any chances by running him Saturday.